"We are preparing to carry on trade in national currencies with China, Russia, Iran, Ukraine, which account for the largest volume of bilateral trade. If European countries want to get free from the dollar pressure, we are ready to create a similar system with them," Turkish President Recep Tayyip Erdogan stated during a meeting in Rize, Turkey. Earlier in the day, the Turkish president urged the country's citizens to sell dollars and euros in order to support the lira, Turkey's national currency. The latter has been experiencing a major downfall since US President Donald Trump's recently announced sanctions. Speaking about the spat with Washington, Erdogan called it a "currency plot," stating that those who provoke fluctuations in the value of the lira "think that they can destroy Turkey." Erdogan noted that Ankara does not intend to tolerate the situation when "the world is declared an economic war, and several countries are pressured by the threat of imposing sanctions." He also recalled that "in the world, there is not a single politician and no country that succeeds in pursuing a hostile policy towards Turkey." The president also promised that "anyone who causes suffering to the Turkish people, sooner or later will pay for it." 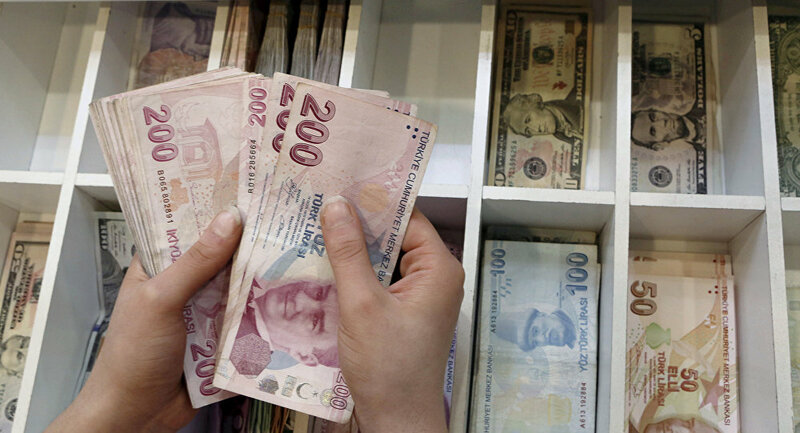 Operation Dollar Dump: Can Turkey Rely on the Lira in International Trade? In one of his latest speeches, Turkish President Recep Tayyip Erdogan said the recent US policy toward Turkey "annoyed and upset" Ankara. The mentioned policy includes a recently announced increase by Trump to tariffs on aluminum and steel imports from Turkey to 20 percent and 50 percent, respectively. This move provoked a sharp fall of the Turkish lira. This position has been echoed by Ibrahim Kalin, Erdogan's spokesman, who wrote in the Daily Sabah newspaper that "the United States risks losing Turkey [as an ally]." Another stumbling block in Washington-Ankara relations is the issue of human rights and the arrest of American pastor Andrew Branson, who is suspected of being connected to the Gulen movement, by the Turkish police. Washington believes that he was jailed unlawfully. In response to the arrest, the US imposed sanctions against Turkey's Minister of Justice Abdulhamit Gul and Minister of Interior Suleyman Soylu for participating in the detention. Ankara has denounced the US sanctions and promised to freeze the assets of the US justice and interior secretaries in Turkey. Brunson was detained in 2016 on suspicion of links to the movement founded by Islamic cleric Fethullah Gulen, who Ankara holds responsible for a failed coup attempt that same year.